Hunting is the pursuit of game animals, using a variety of methods and weapons. Methods include stalking, lying in wait, tracking, driving, calling, and the use of decoys. Hunting weapons include the bow and arrow, rifle, and shotgun. Guns inflict an incredible amount of damage, which becomes much more pronounced on smaller prey. Bows and crossbows, therefore, are the most prominent weapons for those who hunt fowl like pheasant or turkey. Rifles remain the prominent weapon of hunters around the world. They offer the greatest range and the most accurate means of downing prey. 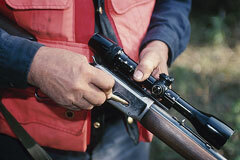 Hunting rifles can include sights for greater accuracy. In addition to the actual tools of hunting, you're also going to need clothing and footwear, particularly when you are out in inclement weather. You'll also want to consider your safety while hunting, as well. Deer are color blind, for example, so during deer season, many hunters will wear bright colors so other hunters can differentiate predator from prey. Boots are also important for keeping your footing and preventing injury when you chase prey after it bolts. Survival equipment is vital for many hunters, as well. If you are going hunting in the wilderness, you should always have a map and compass, or a GPS unit, on hand to help you get your bearings. You should also bring plenty of water, in case you become separated or lost, as well as a blanket and means of creating fire. Even if you are going only a short distance from your companions, make sure you have the tools you need to remain safe on your own. This supplier of fishing, hunting, boating, camping, hiking, and outdoor gear. Founded in 1972, Bass Pro Shops strives to offer outdoor recreational products which inspire people to love, enjoy, and conserve the great outdoors. Montana-based source of popular sporting goods and outdoor equipment feature a wide range of backpacks, decoys, hunting knives, and hunting apparel. New York-based firm is a supplier of archery, blackpowder, airguns, and other hunting equipment. Designs, produces, and sells sporting goods products for the hunting and shooting sports markets. Famous manufacturer of pocket, folding & fixed blade knives for hunting, fishing, and outdoor recreation. The mission of the United States Fish & Wildlife Service is to work with others to conserve, protect and enhance fish, wildlife, and plants and their habitats for the continuing benefit of the American people. 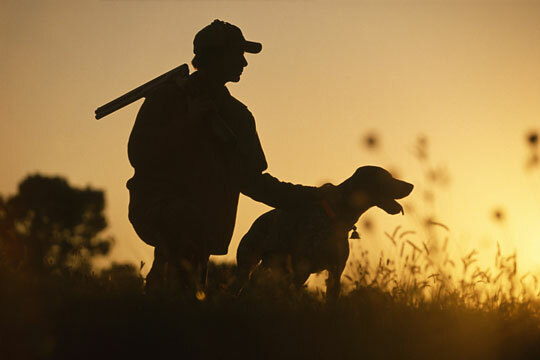 Online source for state hunting and fishing licenses. Informative site for hunters features how-tos, outfitters, breaking news, and communities. The National Rifle Association offers hunter services as well as shooting, training, educational and public service programs that foster the safe, responsible ownership and use of firearms.